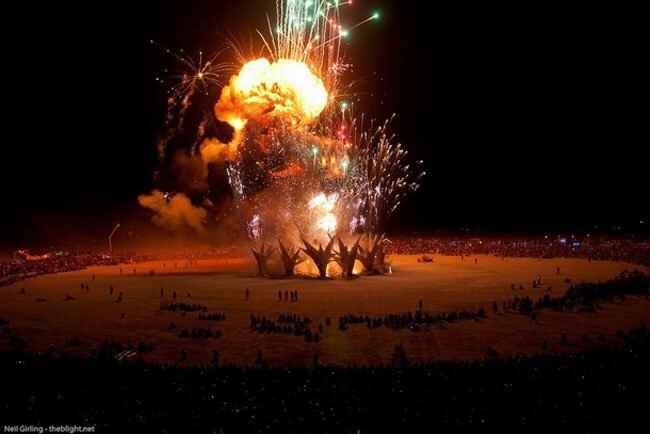 Trying to explain what Burning Man is to someone who has never been to the event is a bit like trying to explain what a particular color looks like to someone who is blind. 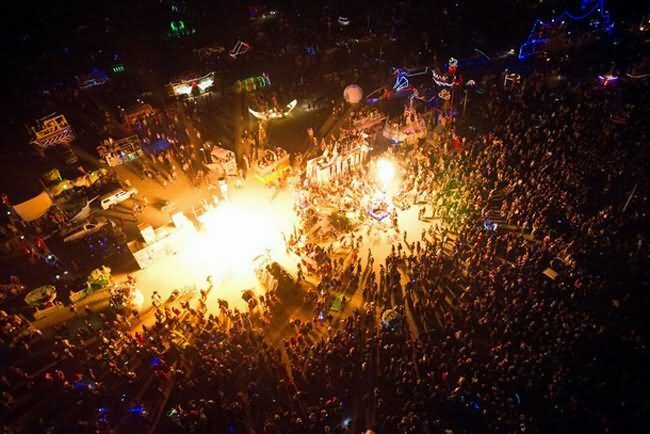 In this article you will find the peripheral definitions of what the event is as a whole, but to truly understand this event, one must participate. 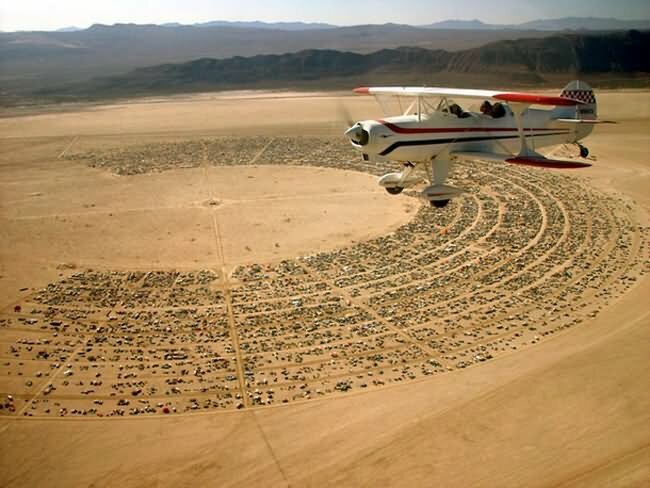 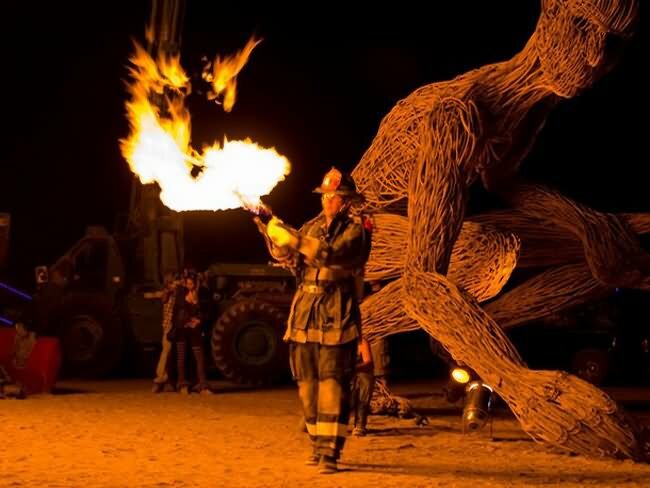 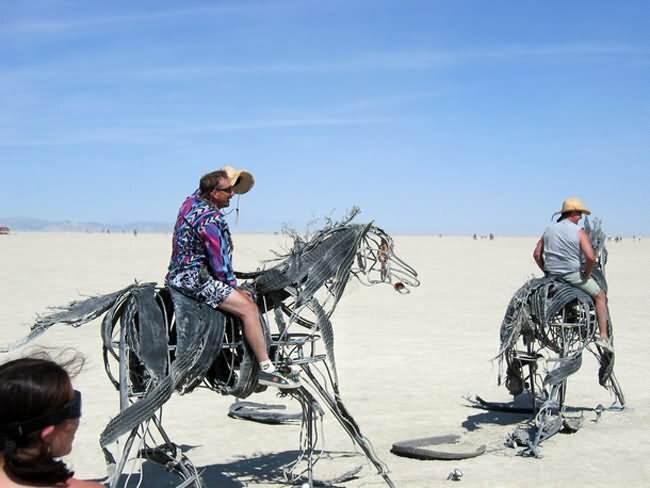 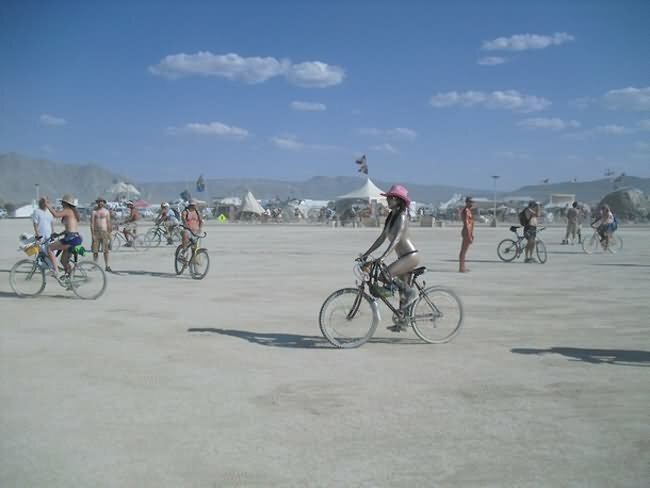 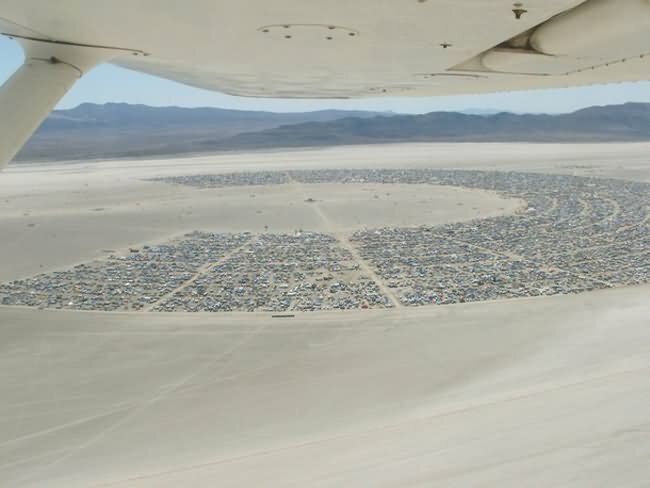 Today the Burning Man event become the bustling city of some 48,000+ people. 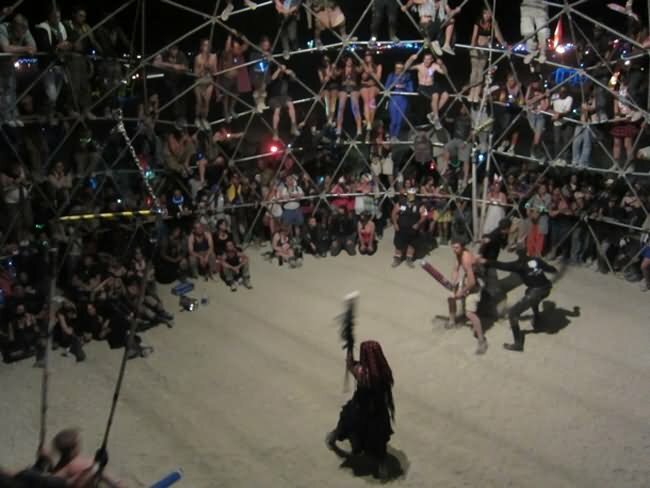 These people make the journey to the Black Rock Desert for one week out of the year to be part of an experimental community, which challenges its members to express themselves and rely on themselves to a degree that is not normally encountered in one's day-to-day life. 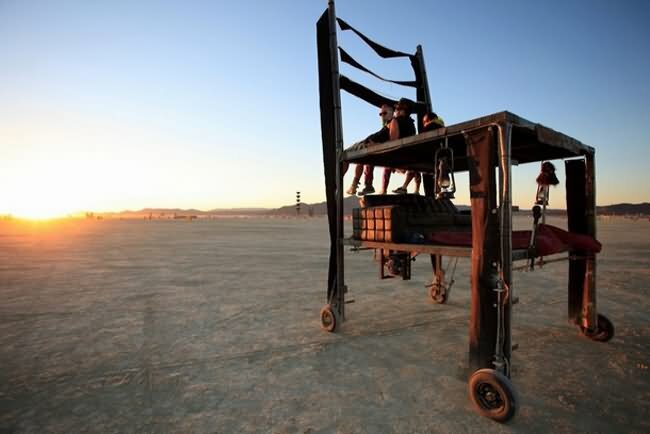 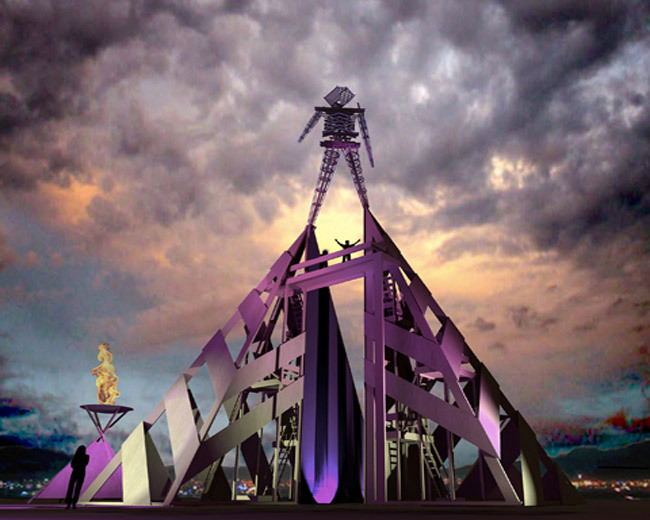 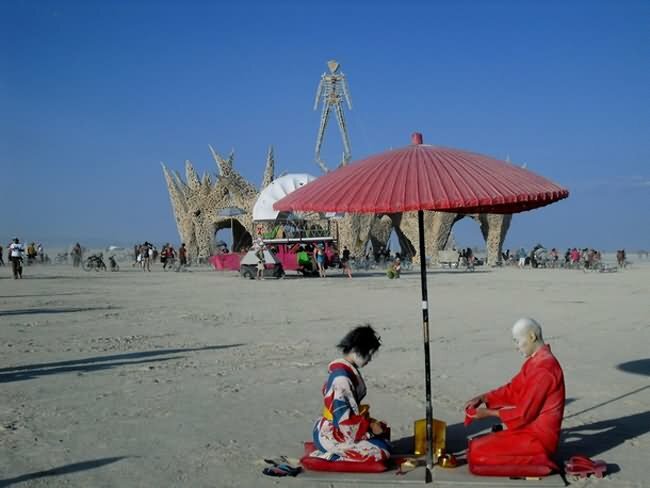 The result of this experiment is Black Rock City, home to the Burning Man event. 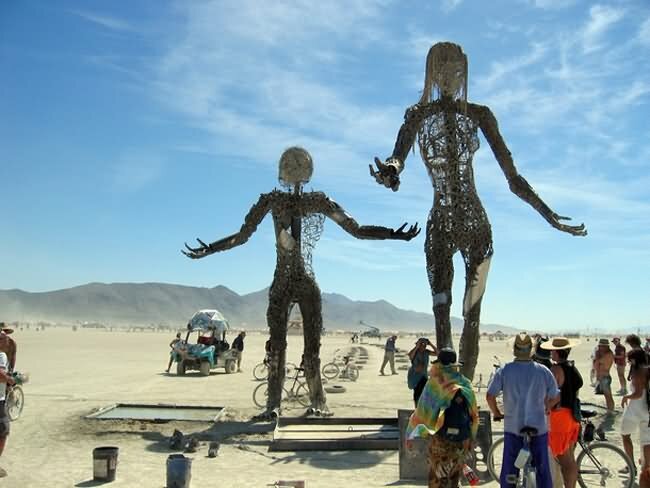 "There are moments of crisis and frisson in our lives which inform us that we've somehow crossed an inner threshold and are changed. 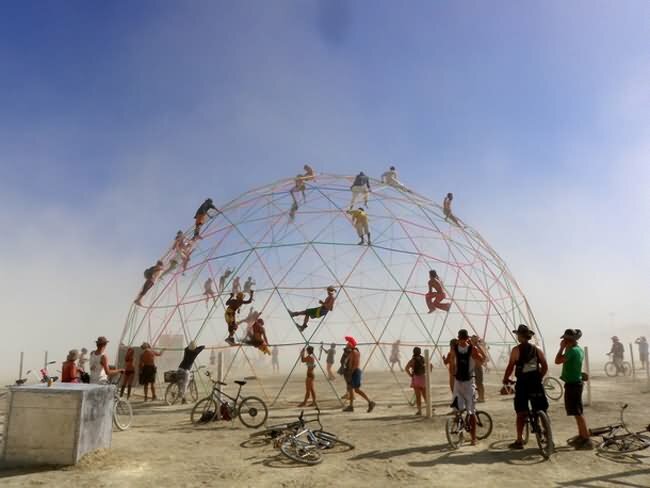 Thus moving from one state of being into an unknown other obliges us to face our innermost insecurities, and it requires faith, a willingness to leap off the ladder of ordered existence. 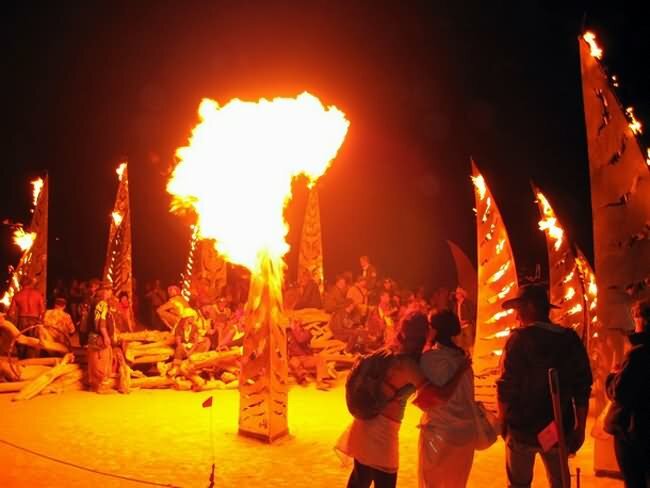 Our theme this year invites participants to join with others in creating rites of passage." 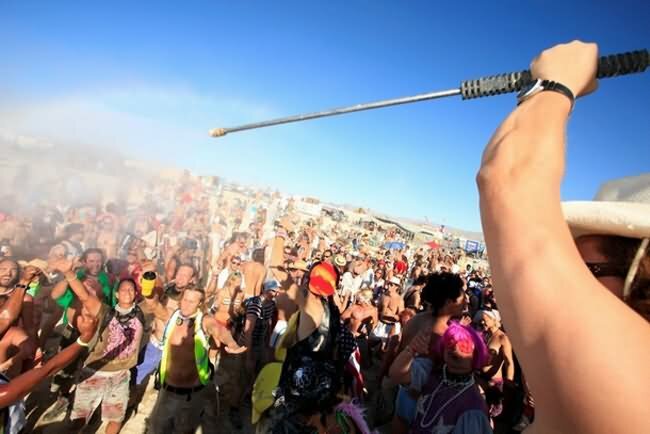 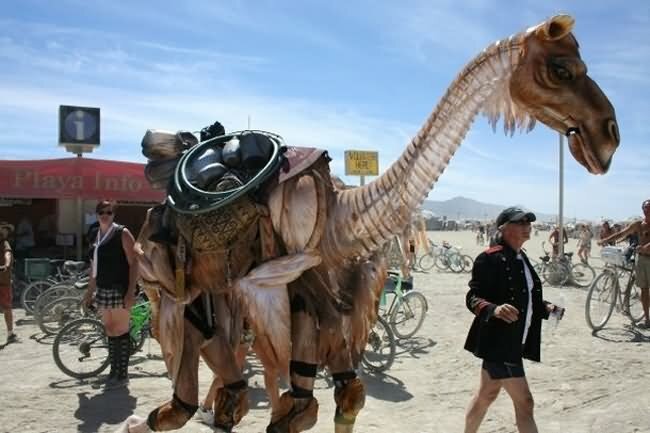 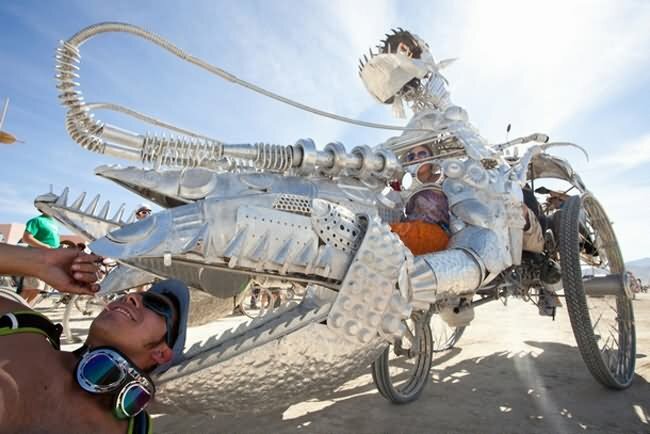 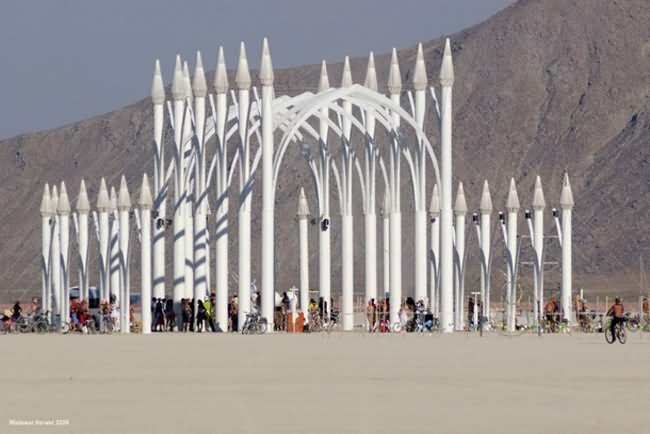 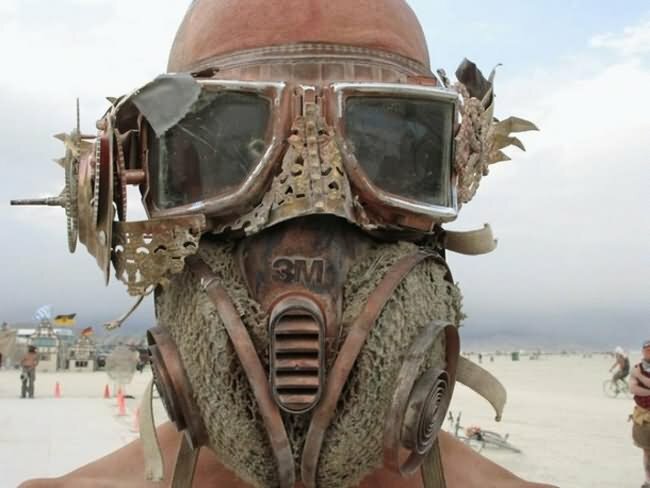 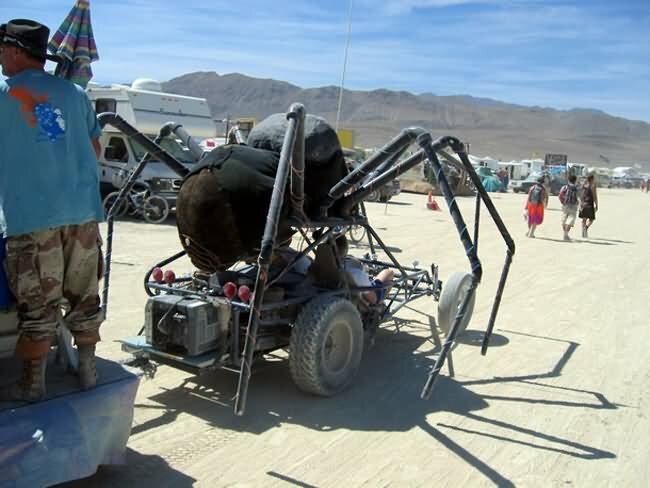 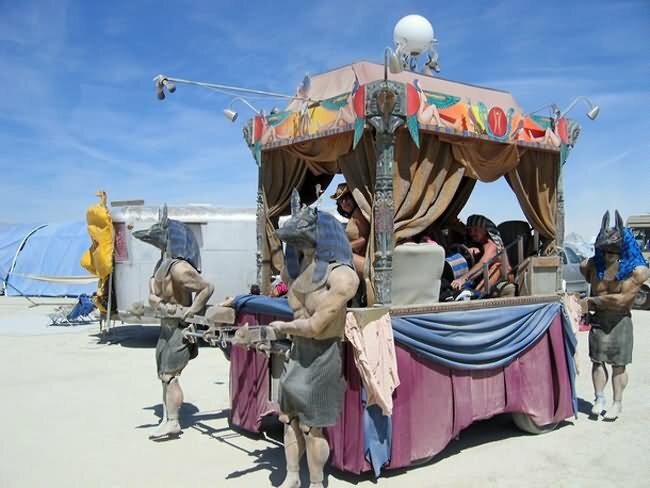 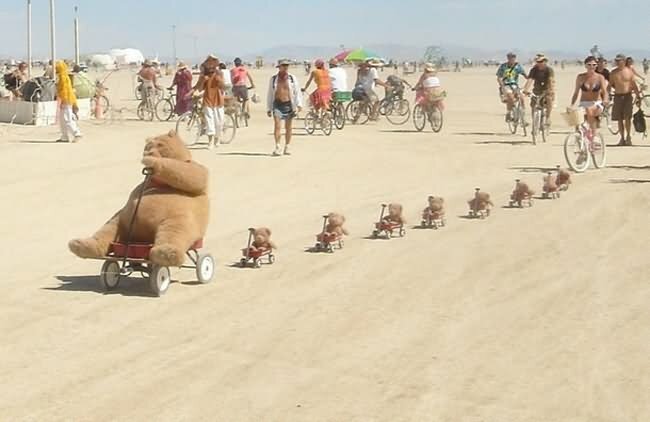 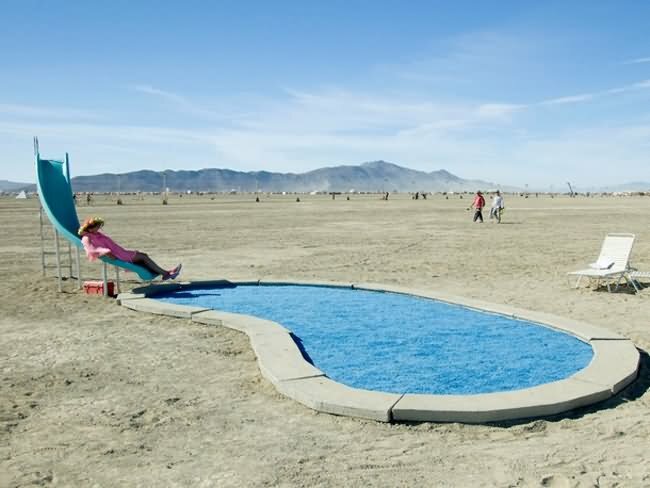 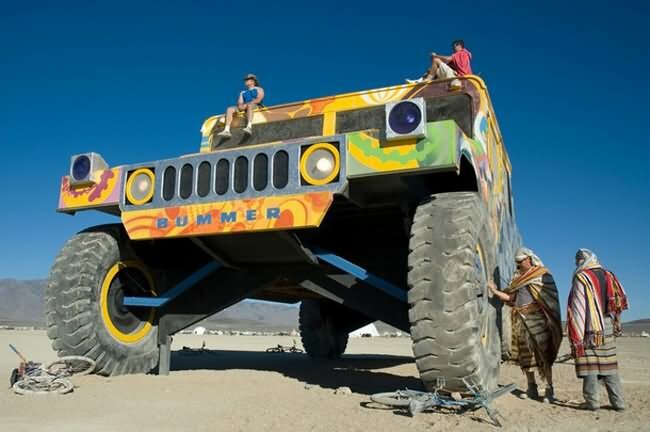 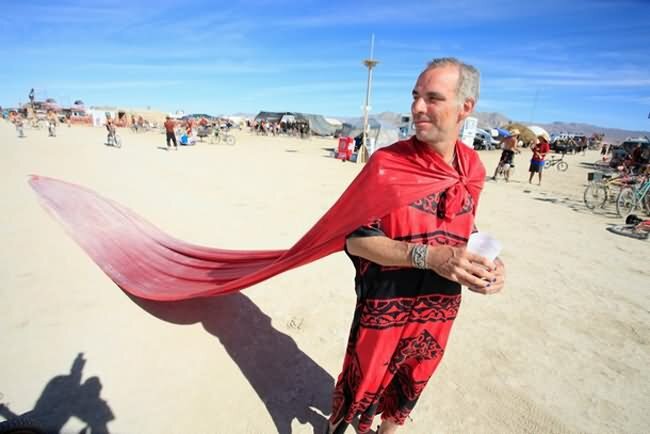 from official Burning Man website.